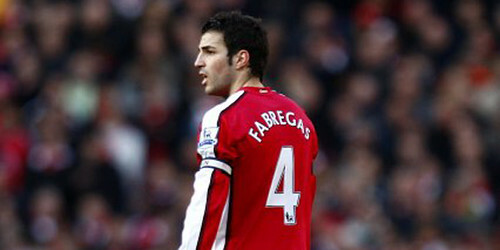 Cesc Fabregas, originally uploaded by Ashburton Grove Blog. Morning gooners. Seems there is a bit more in the way of Arsenal news ahead of the weekend game. The Daily Mirror are reporting Cesc Fabregas came through a training session with the first team squad yesterday and could be fit to play against West Ham this weekend. It would give us a boost, but I think if there were any doubt about our captain's fitness he should be left out. You would think we have enough to beat West Ham, without Cesc. Nasri has been playing well, as has Diaby and without Alex Song against Hull, Denilson came in and did a good job. For West Ham though, the manager could be left with good selection problem. Song completed his two game suspension last weekend, and is now available. There is talk that Rosicky is fit, so who do you play and who do you leave out. A good place for Arsene to be. Ray Parlour has taken part in one of the official website's Q&A with fans. With the injury to David Beckham, the Romford Pele was asked about Theo Walcott. "I would not say he has had a bad season it is just that he has not had a run in the team. "Against Burnley, he was brilliant, absolutely fantastic. But if you are going to be a big player you need to do that week in week out at a consistent level. "Theo will do that once he gets his injuries sorted out. Once he does that he can be a massive player for Arsenal. "The ball he put over at the start of the second half at Hull was like Beckham in his prime. But Theo has got pace as well. He has just got to get injury free now and get a run in the team." Which I think is what I said at the time. It is all very well putting in a excellent performance against Burnley, you have to be that good week in, week out. And after the Burnley game, he featured as a substitute in the games with Porto and Hull, with the manager preferring Emmanuel Eboue, who it has to be said is having an excellent few months. I would expect him to start on Saturday, with Eboue switching to right back. The Guardian are reporting we've shown an interest in signing Christian Erikse, an 18-year-old Ajax attacking midfielder. And well done to Henri Lansbury, on loan at Watford, who scored their opener in a 2-1 win against Ipswich. Finally, sad news that Chelsea have gone out of the Champions League. After spending so much money, it's awful that they've gone out when we've spent little in comparison. In the other tie last night, CSKA Moscow beat Sevilla. Those through to the quarter-finals are: Arsenal, Manchester United, Inter Milan, CSKA Moscow, Bayern Munich, and Lyon. Tonight's games include: Barcelona v VfB Stuttgart and Bordeaux v Olympiakos. The draw takes place on Friday.